An eye catching striped Atkinsons Tie in Royal Irish Poplin with purple, gold and black equal medium width diagonal stripes in a matt finish. A beautiful broad striped Atkinsons Royal Irish Poplin Tie with light blue, bright blue, lime green and cream diagonal bands of colour in a matt finish. 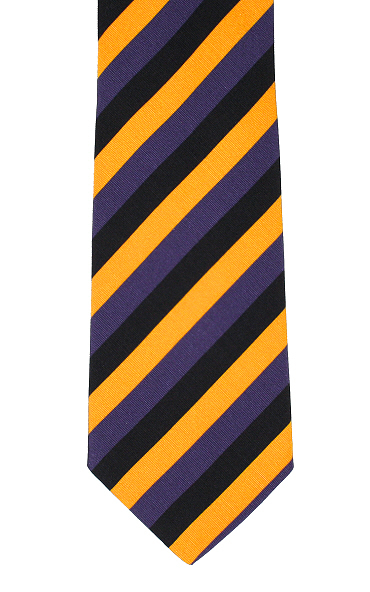 A cheery lilac, mauve, orange and pale yellow Atkinsons Tie made from Royal Irish Poplin in a diagonal broad striped design with a matt finish.